MUSCLE BUILDING VITAMINS..is it that important? WHAT'S IN YOUR MUSCLE BUILDING VITAMINS STACK? One of the most confusing issues for any athlete is vitamins. What to take, how much, when to take it, blah, blah, blah. Figuring out vitamins for can be so frustrating at times that it becomes easy to lose sight of the forest for the trees, to forget the purpose of supplementation and to overlook exactly what makes successful muscle building. It's sometimes easy to forget that the cells in our bodies, particularly muscle cells, rely on certain biochemical reactions for proper metabolism, growth and maintenance. These reactions, in turn, depend upon specific vitamins to help catalyze, or facilitate, their actions. Without these vitamins, nothing happens. Even if only one of these critical muscle building vitamins is deficient, a bodybuilder's progress can be stifled without warning. Virtually every energy production or muscle growth process we rely on so heavily is dependent upon, in one way or another, on vitamins. Making matters more critical is the fact that bodybuilders are notorious for overlooking vitamins because these nutrients don't supply energy like carbohydrates, proteins and fats do. But that doesn't mean they aren't important. Without vitamins, muscle mass would decay, bone density would deteriorate and all systems of the body would begin to fail. 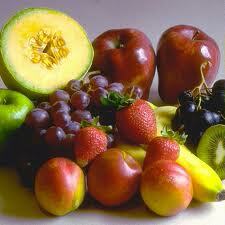 vitamins can be divided into two broad categories: fat-soluble and water-soluble. Fat-soluble vitamins (A,D,E, and K) are so named because they are stored in the body's fatty tissue and do not have to be replenished daily. 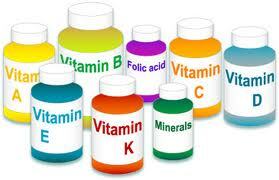 But be careful: Because they are stored, overdoes of these vitamins can lead to toxicity. The water-soluble vitamins (with the exception of vitamin C) are composed entirely of the B and B-complex vitamins, including Thiamine (B1), Riboflavin (B2), Niacin (B3), Pyridoxine (B6), Folate, Cobalamin (B12), Biotin and Pantothenic Acid. As these vitamins are water soluble and thus have difficulty entering fatty tissues, they aren't stored in the body and excessive amounts are excreted. While this means toxicity is generally not a problem, these muscle building vitamins must be continually included in a bodybuilder's diet. WHANT TO KNOW MORE ? click here to see our muscle building vitamins top 10 shoot out.Who do you think will grab the number 1 spot?